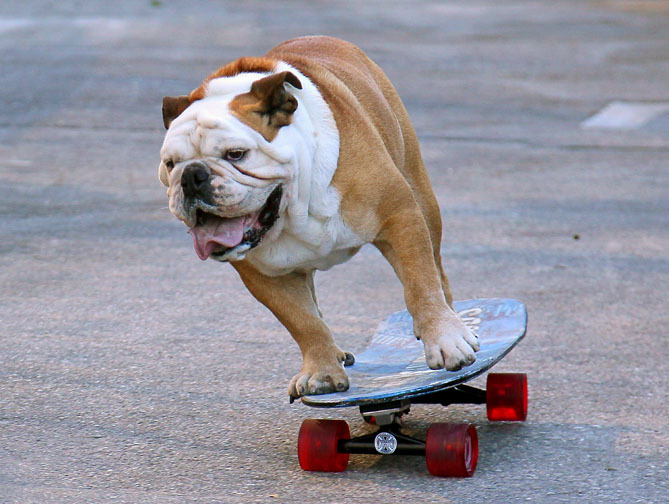 Bulldogs are known for their low center of gravity and amazing ability to ride skateboards. This guy has gone to another level and has even learned to confidently steer the board. He has some serious skills on four wheels.